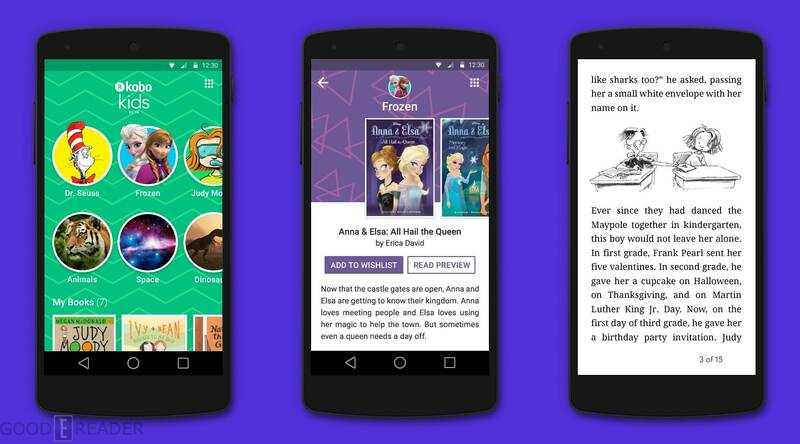 Kobo has just released a standalone app for Android called Kobo Kids. It is an e-reading app, but also an online shopping system where there is a number of e-books and graphic novels available. In 2013 Kobo developed a children’s portal to showcase all of their comics, graphic novels and e-books. This system was only available on the web version of their store and this is the first time the company has ever developed a dedicated app to draw attention to it. The Kobo Kids app features a bright and bubbly interface that showcases a series of icons pointing to genre topics such as space, dinosaurs, animals, classics, superheroes and many others. When you click on a particular topic it displays a number of titles and offers previews. Kids, are not able to buy content on their own, but the parent has to purchase them, but it is significantly easier to do this once they download a sample. This app is considered BETA, but it is available for anyone to download and read e-books. I think this is a great app from Kobo, and it is likely their answer to Kindle Freetime Unlimited.